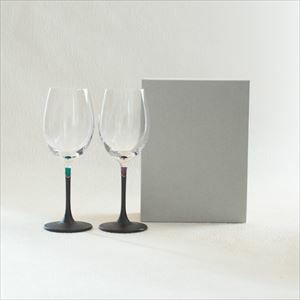 How about having an elegant time with stylish coloured wine glasses? Let us introduce Lacquer colored wine glasses from Toba Shitsugei. 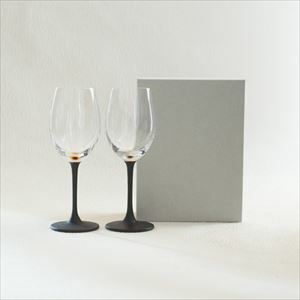 Transparent wine glasses with mat texture of lacquer and delicate gold line. 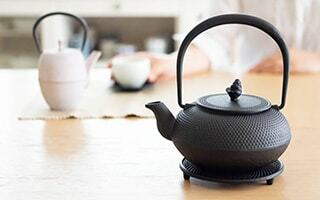 This lacquer work is produced by a traditional craft “Kongou-Ishime-Nuri.” Kongou-Ishime-Nuri is designated as an intangible cultural heritage of Shizuoka prefecture. 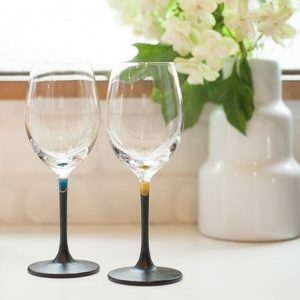 Stylish, cute, and elegant colored wine glasses will color your wine time. 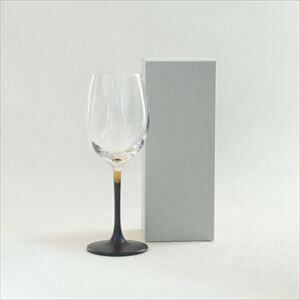 We offer 5 colors glasses in color lacquer series of lacquer coloured wine glasses. The 5 colors are red, yellow, purple, green, and blue. All colors shine like jewels. For example, red color glass is like a garnet, yellow is like a topaz, and purple is like an amethyst. Blue and green is like the color of peacock’s feather. We even feel the alluring in the brilliant color at the stem of glasses. 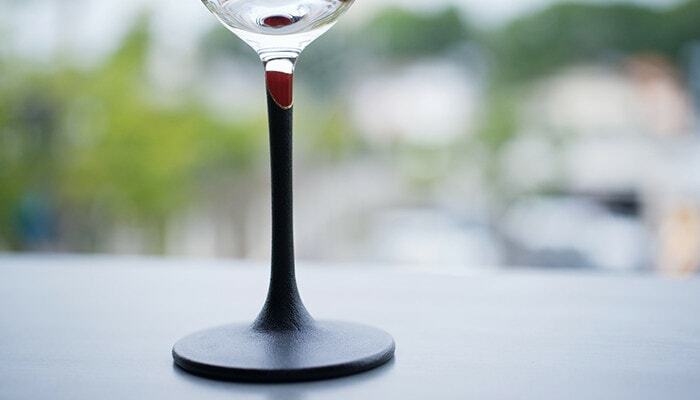 The gold line at the stem of colored wine glasses are designed from neckless. 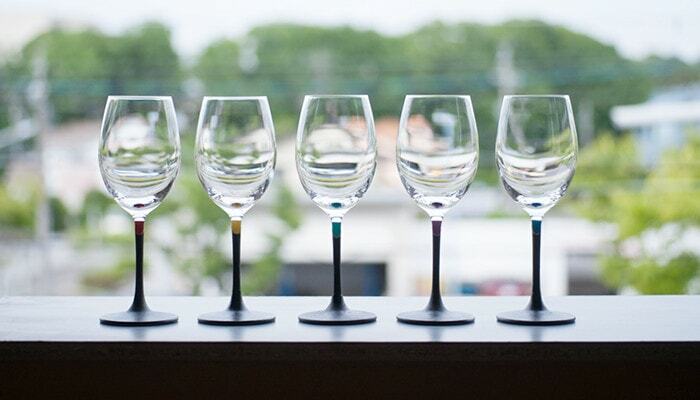 We can understand the fascination of these colored wine glasses now. Starting from the left red, yellow, purple, green, and blue. At the bottom of colored wine glasses, we can see elegant gold or silver color. The inside layer of lacquer work is gilded gold leaf and silver leaf. 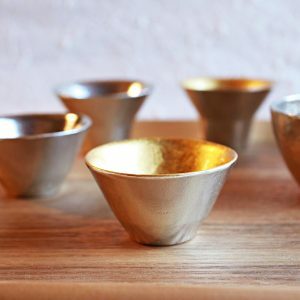 The gold leaf of Toba Shitsugei is white gold leaf. 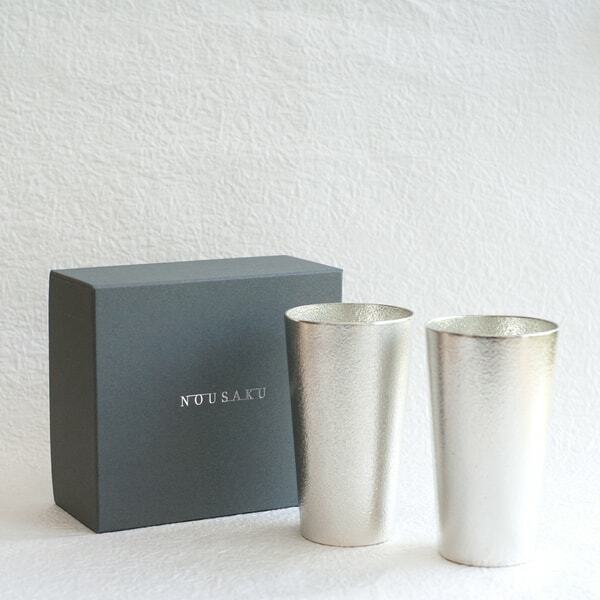 White gold leaf was produced with 50% gold and 50% silver. Therefore, the gold leaf is shining. 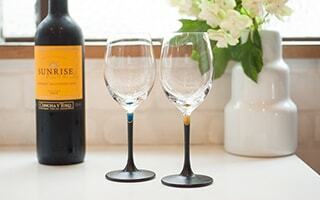 When you look at the silver and gold glasses from the side, you can see floating gold or silver ball inside the glasses. 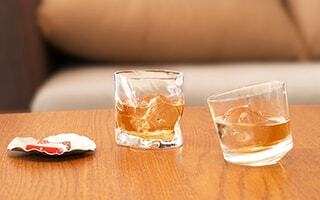 It is the reflection of gold or silver leaf at the bottom of the glasses. The floating ball looks like moon. 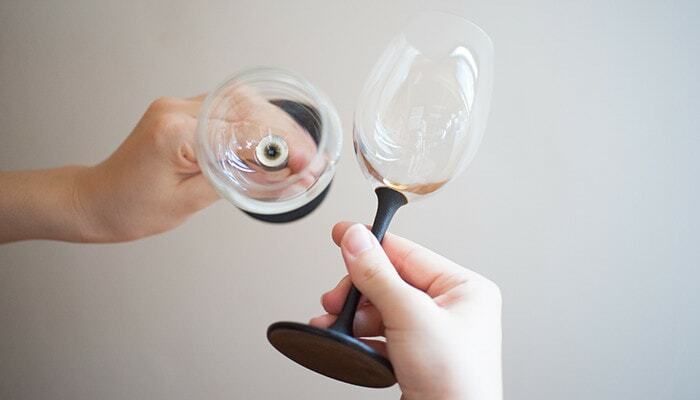 The gold and silver leaf of colored wine glasses looks more beautiful when you pour wine. 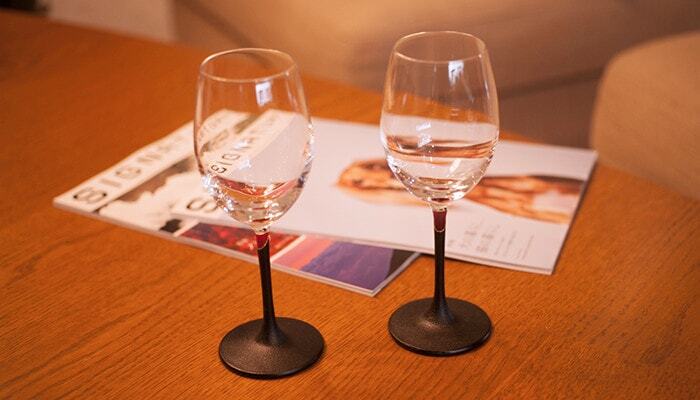 The glitter of leaf is shining under the wine or water. In fact, the stem designs of lacquer colored wine glasses are different from each series. 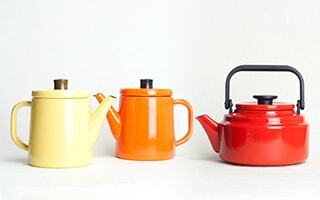 Color lacquer series has diagonal design of lacquer and golden line. 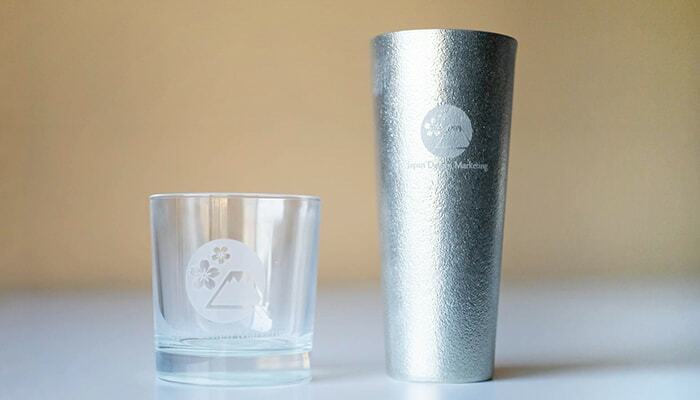 On the other hand, gold and silver series have straight design of lacquer and golden line. Please select your favorite color and design from 2 series. What is Kongou-Ishime-Nuri, the intangible cultural heritage of Shizuoka prefecture? 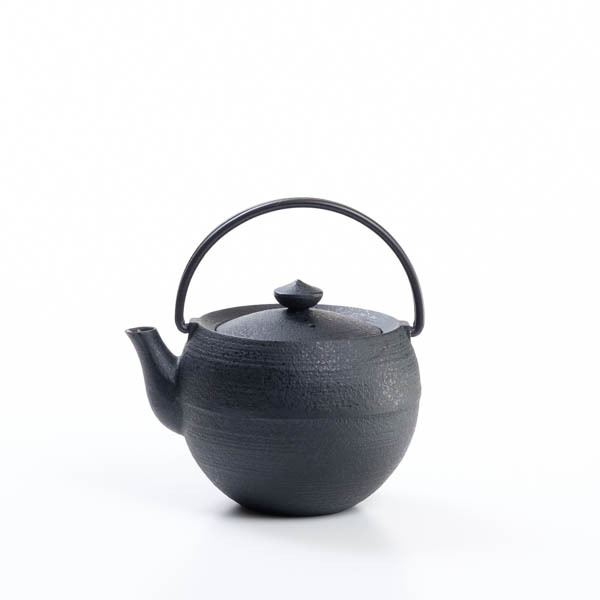 Unlike usual lacquer ware, the lacquer work produced with Kongou-Ishime-Nuri skill has rough and mat texture. 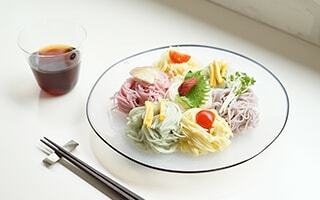 The colored wine glasses of Toba Shitsugei is produced with this special skill. 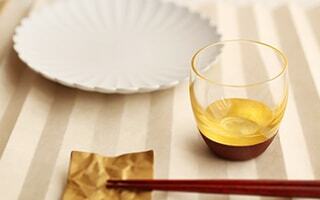 Kongou-Ishime-Nuri is a special method of lacquering. 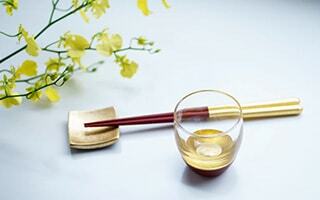 This special method itself is designated as the intangible cultural heritage of Shizuoka prefecture. 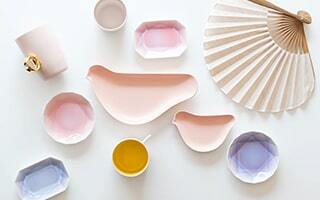 Shizuoka prefecture has long history of lacquer work. 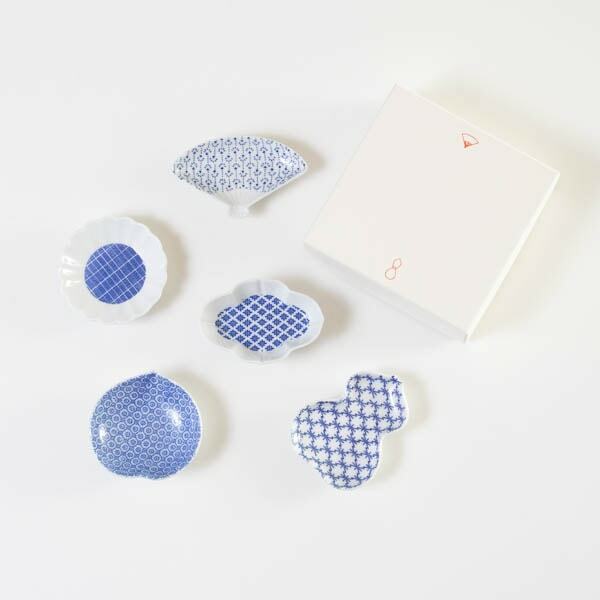 The craftsmen of Suruga lacquer ware inherited the traditional skill, and develop new lacquer work for contemporary lifestyle. Mr. Toba Toshiyuki of Toba Shitsugei, the atelier of the lacquer sake cup inherits the Kongou-Ishime-Nuri. 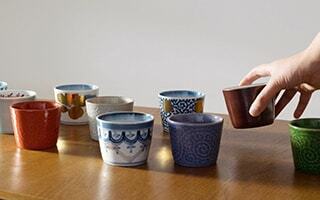 He keeps the special skill of Kongou-Ishime-Nuri, and produces stylish lacquer ware like this Japanese lacquer sake cup. The great feature of Kongou-Ishime-Nuri is its solid foundation. 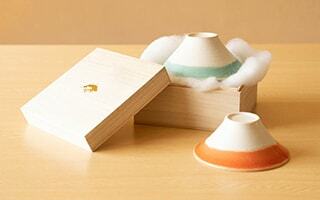 The solid foundation makes the lacquer ware tough and durable. Abekawa river in Shizuoka prefecture produces good sand. 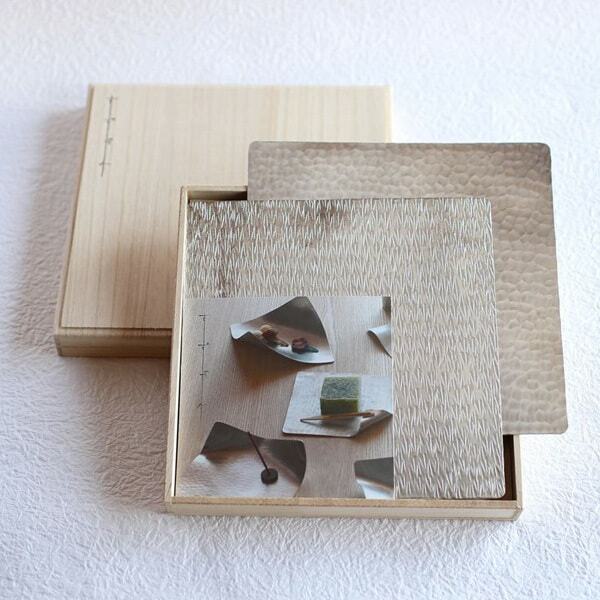 Using this sand and lacquer, traditional craftsmen produce solid foundation. 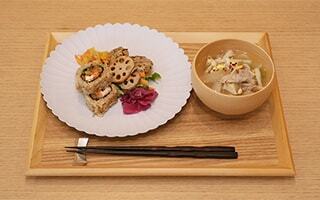 This method is an original method of Kongou-Ishime-Nuri. 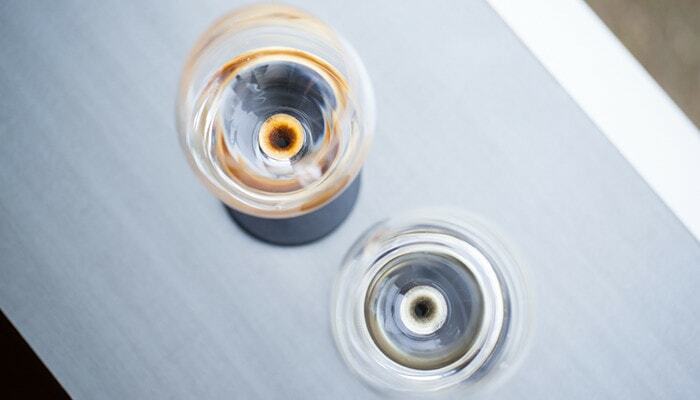 By lacquering layers of lacquer, the products get beautiful gloss and color. 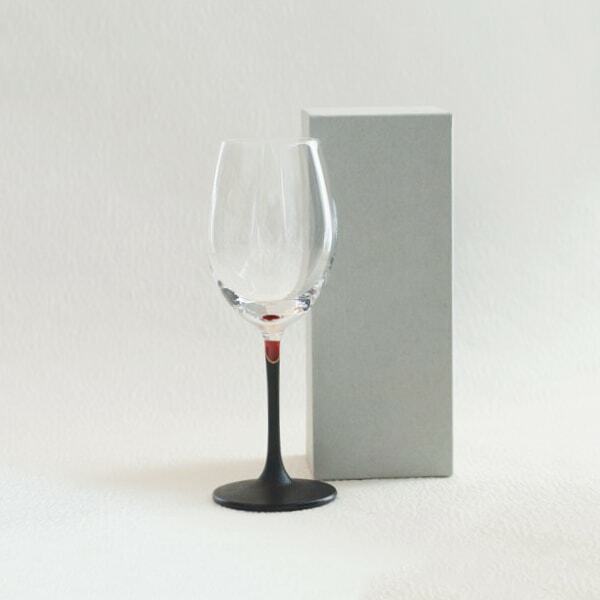 The colored wine glasses of Toba Shitsugei is the collaboration of transparent glasses and mat and rough texture of lacquer by Kongou-Ishime-Nuri. In addition to the design, the lacquered stem is durable and easier to have the glass than other glasses. Lacquer work produces original atmosphere and usability. 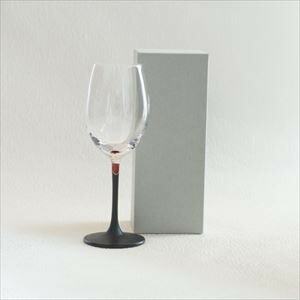 Lacquer colored wine glasses are recommended gifts! 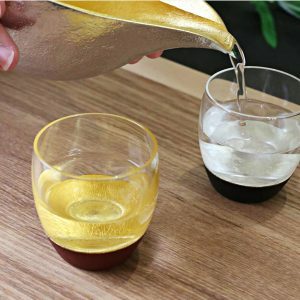 Lacquer colored wine glasses of Toba Shitsugei are like jewels. 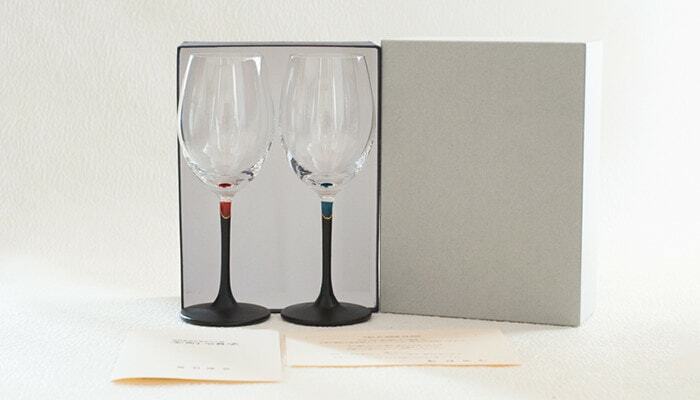 These gorgeous colored wine glasses would be suitable gifts for wine lovers or Japan lovers. 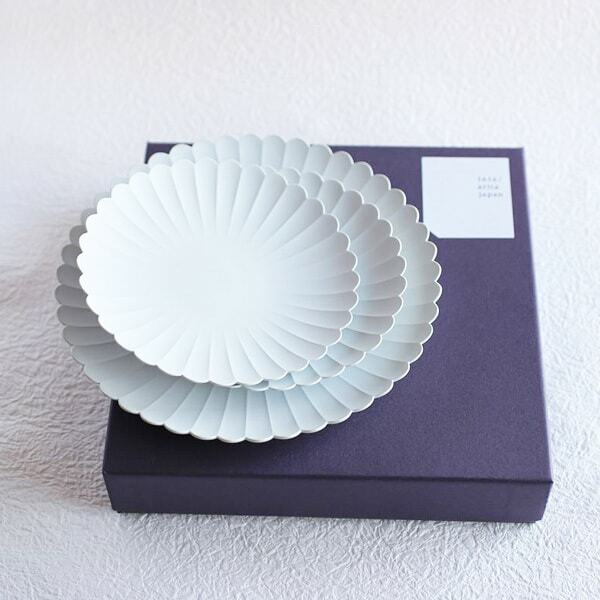 We prepare some pair for gifts. 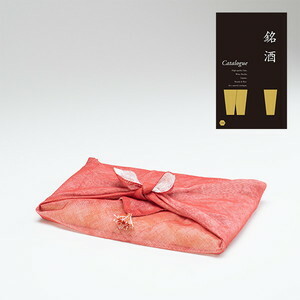 For example, gold and silver pair is very gorgeous and auspicious pair. 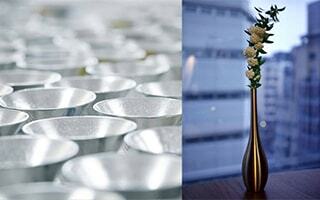 Gold and silver have been symbol as eternity, permanence, and richness. We can see gold and silver goods of ancient civilization. In addition, we offer green and purple pair and red and blue pair. Colored wine glasses of Toba Shitsugei have modern design with Japanese traditional skill. 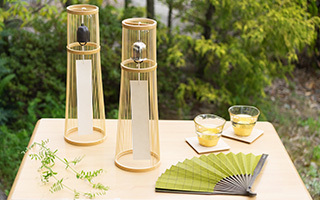 Therefore, you can enjoy Japanese sake with these colored wine glasses. Have a luxury time with lacquer colored wine glasses. 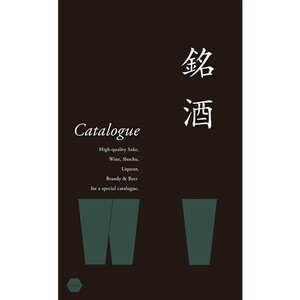 We offer our original English description for the products of Toba Shitsugei. 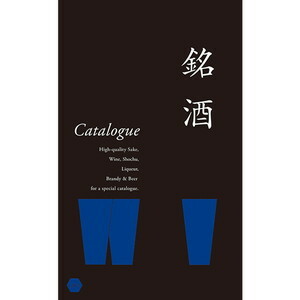 Usually, Toba Shitsugei offers Japanese description only. 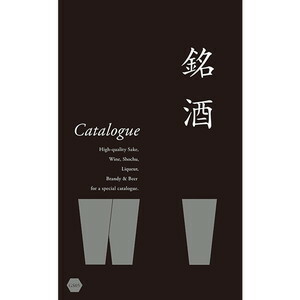 If you are looking for the products of Toba Shitsugei, please select our shop! * Wash with soft sponge with ph.-balanced detergent. 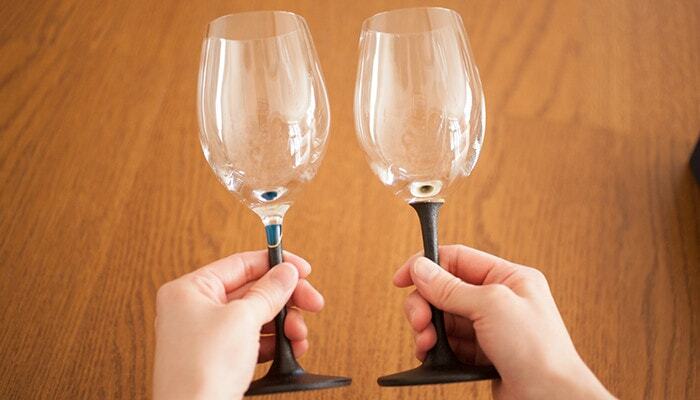 Wine glasses for the release day of Beaujolais Nouveau! 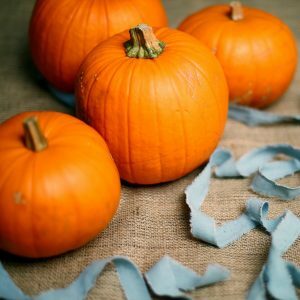 Recommended items for a stylish Halloween party!